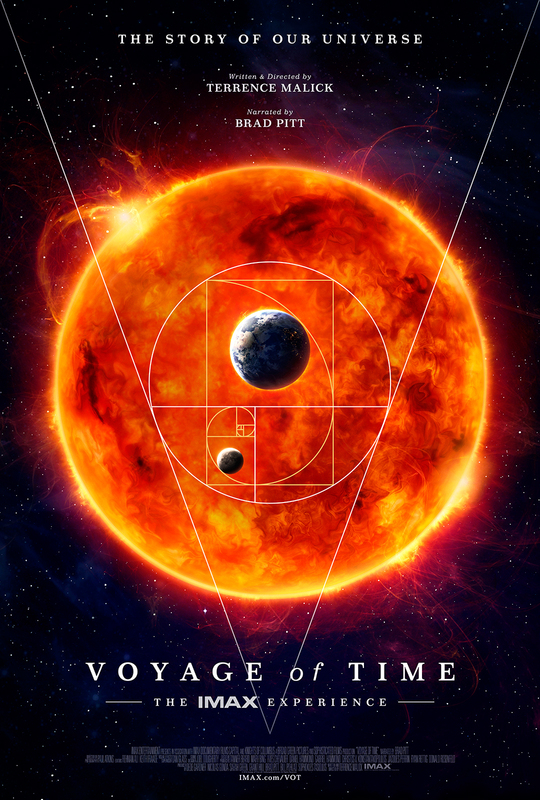 A documentary written and directed by Terrence Malick, Voyage of Time examines the birth and death of the known universe and asks where humanity belongs in the future. 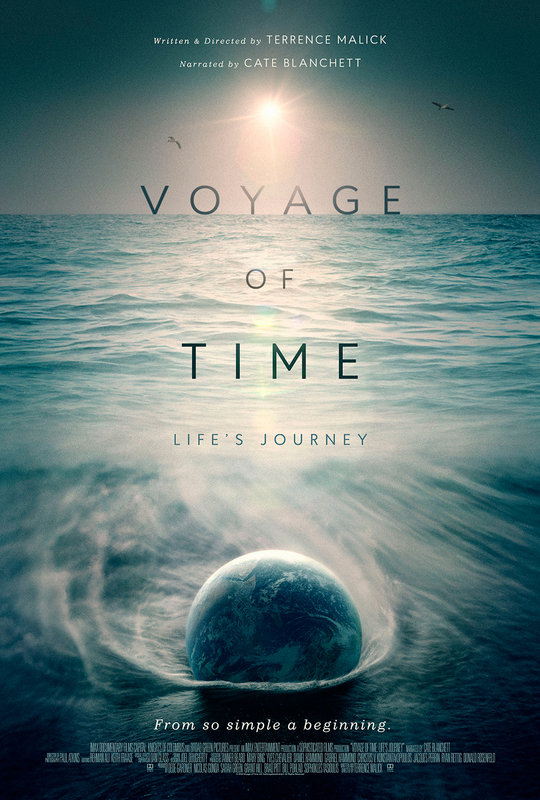 Malick released the film in two versions: a forty-minute IMAX narrated by Brad Pitt, and a 35-millimeter feature-length narrated by Cate Blanchett. The feature-length edition competed for the Golden Lion at the 73rd Venice International Film Festival. The domestic one-sheet received a nomination for Best Documentary Poster from the 2017 Golden Trailer Awards.